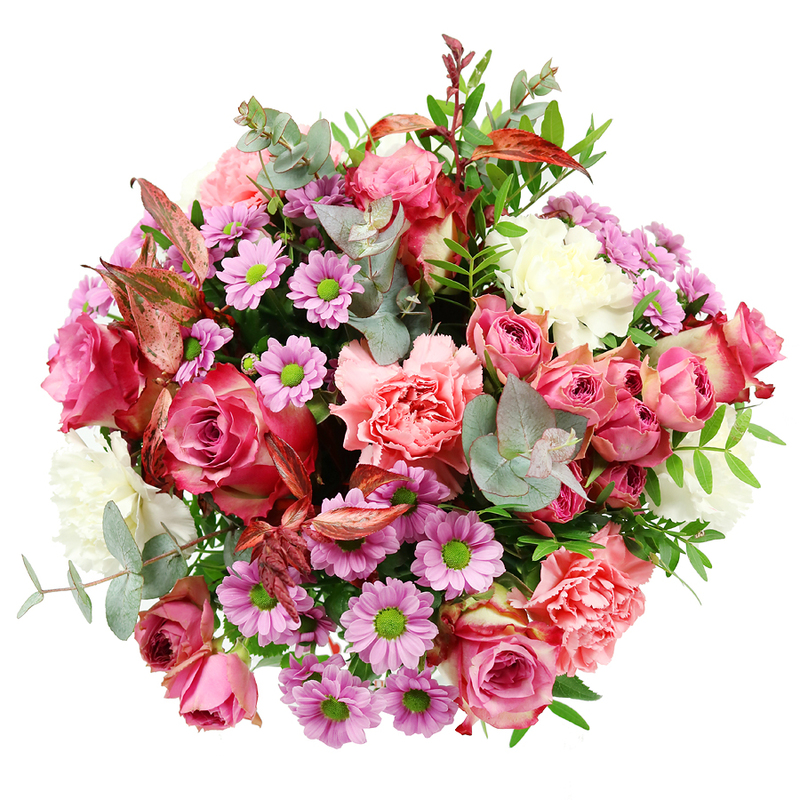 Our Love Whisper bouquet which is made up of pink spray roses, pinkish white roses, pink carnations, white carnations, pink santini chrysanthemums, eucalyptus, pistacia and greenery. Vase included. 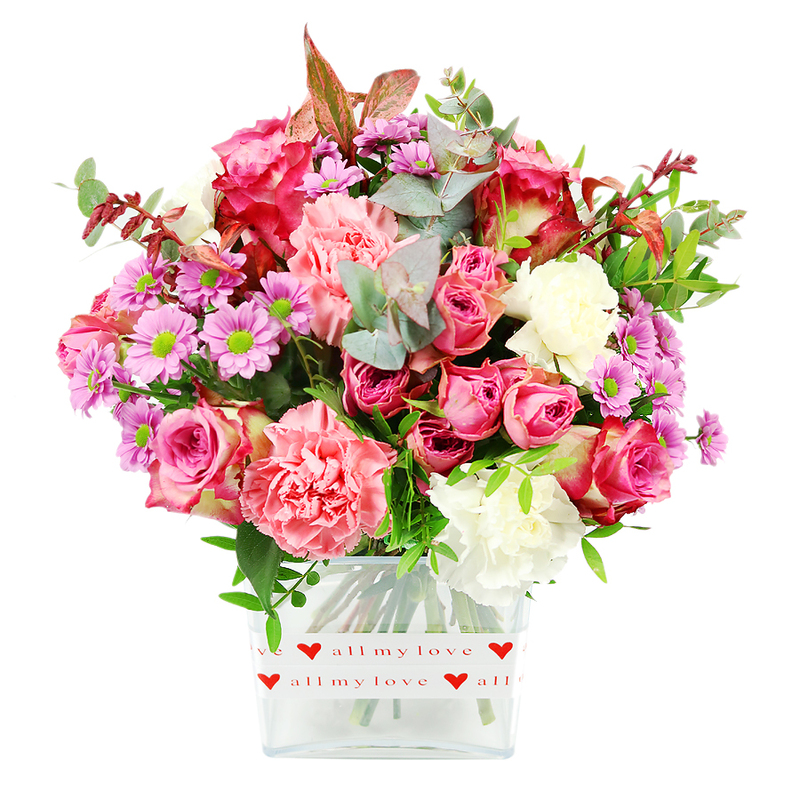 It's wonderful to send flowers to a loved one that's far away. Thank you for being such a lovely online store and delivering to where my grandma lives. She loves your bouquets! I'm really happy, because she texted me several photos of the flowers, and they were really quite handsome looking, very healthy and in great condition. Same day flower delivery worked out well. I can see myself ordering from this florist again. Very fast flower delivery, really good service. Honestly, these flowers are absolutely enchanting, to say the least. 100 % Yes! I will use them again in future! I selected a rather creative, artistic and innovative design for my flat. The flowers were delivered next day, as promised.